Experience Coca-Cola in a brand new way! The new Wegmans store in Maryland has a Coca-Cola Freestyle soda machine that offers over 100 flavor possibilities. You no longer have to choose between two choices of regular and diet. How does a Raspberry Diet Coke sound? Or maybe you prefer a Peach Sprite Zero. Although it does look like something out of an episode of the Jetsons, using the Freestyle machine is a simple 4 step process. First, touch the screen to begin. 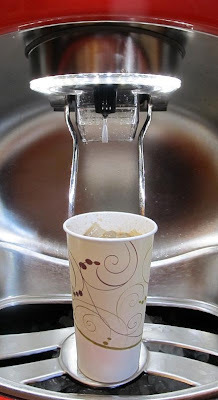 Then fill your cup with ice by pressing the lever. The ice at Wegmans is perfectly crushed cylindrical shaped ice…yes, this makes a difference to an ice connoisseur. 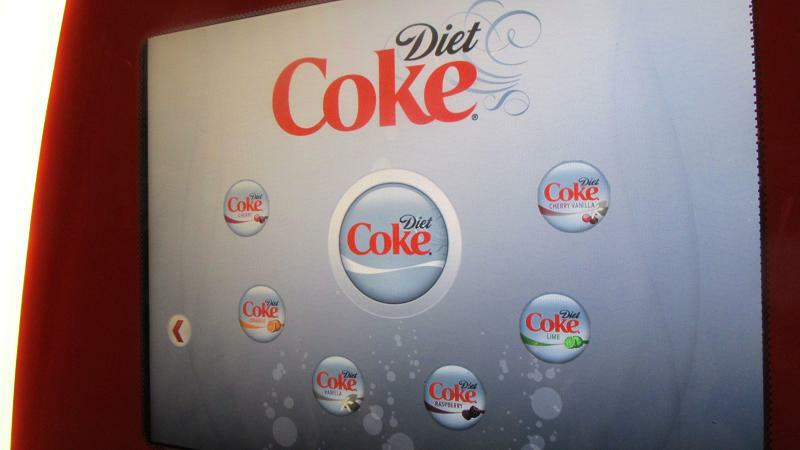 From the main menu, select your beverage of choice, for example, Diet Coke, Sprite, Fanta, etc. 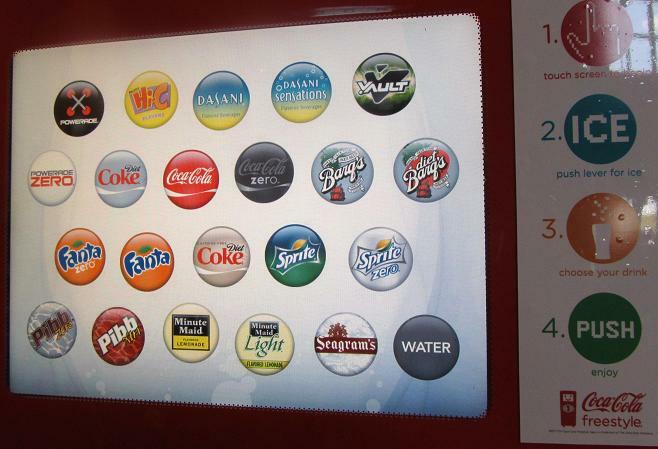 Then select the variety and flavor of drink that you would like. I chose Diet Coke with Vanilla. Press the silver button on the front of the machine that is conspicuously labeled PUSH to dispense your drink. In theory, you could mix several varieties in one glass, since you can fill as much or as little as you need, but I kept my choice to one unique flavor this time. The next time, I want to experiment with a little diet strawberry lemonade. The end result was a delicious custom fountain drink. Beyond yummy and absolutely the coolest Coke machine I have ever seen. The vanilla flavor was so good, I could have sworn that someone had put some calories in there! 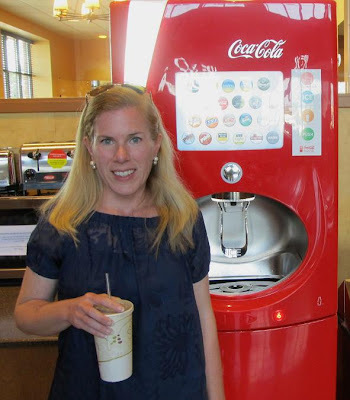 See how happy I am with my Diet Vanilla Coke! Have you tried the Freestyle? What did you drink and what did you think? 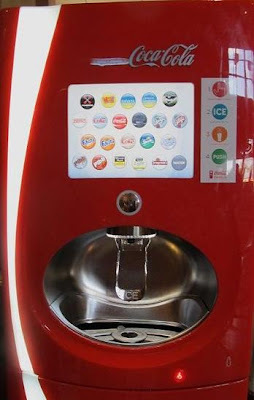 If you’ve never seen Coca-Cola Freestyle, find the location of a machine in your area and let me know how it goes! Bethany this is so cool and I have not seen it til now!! I hope one domes to our area soon! Be sure to come and enter my amazing Giveaway from Tracy Porter! i saw that the other day! there was a line in front of it with people waiting to try it! I have a friend who works for Coke that told me about a "secret" one that was out for a bit for market testing...so fun! I would love to have one in my grocery store! so fun! I just checked but they don't have one in my area. We have one of the machines at a restaurant nearby. I LOVE IT!!!! i just saw one of these in the atlanta airport --- it was so neat! i did club soda and lemonade for my drink. it was perfect!